Group classes with individually planned content? Sign me up! At One Performance UK we carry our philosophy into our Group Classes - that everybody functions differently and therefore needs personal attention to their fitness regimes. OPUK Coaches carefully monitor the class, ensuring that every attendee can perform the same movements safely and effectively. The beauty of this style of training is that a strong athlete can train alongside a complete novice. That way you can work out with your buddies with moves adjusted perfectly to suit your ability and any pre-existing conditions are taken into account. Experience the OPUK camaraderie as you encourage and inspire each other. Sign up to your desired class quickly as they are limited in size to enable the Coach to plan movements based on attendees. Class content is designed by our Specialist Coaches to optimise body composition. 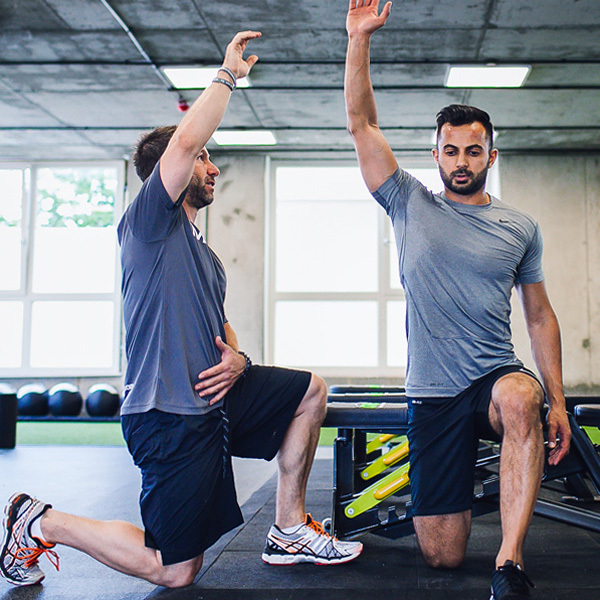 Together we work key muscle groups in functional movements as part of a controlled yet high intensity range. This maximises metabolic cost, generating a high calorie burn, causing fat loss and building functional strength. All abilities welcome as we work across them all. See you on the turf. PLEASE NOTE: Class bookings close two hours before each class. Why? We are passionate about delivering the best group training we can, so our coaches bespoke programme each and every class to make them as individual as group training can get. Led by former amateur boxer and MMA specialist Jamie Scott, this is a combination of professional pad work and shadow boxing alongside OPUK’s specialist strongman kit. The result is a conditioning class that will hone your focus as well as your physique. Blending OPUKs traditional overall body strongman movements with a dose of Kettlebells, expect to improve your agility, form and strength as you move the weights with control. Condition your whole body while learning new Kettlebell moves. Improve your overall performance by learning techniques intrinsic to long-term muscle health. Foam rolling, massage ball and massage stick techniques are coupled with specific stretches, with every session focusing on different areas to encourage full and controlled mobility. A firm OPUK favourite, join forces with your buddies to push, pull, lift, drag and carry your way to a leaner, stronger, fitter physique. Full access our specialist strength kit - Atlas stones, sleds and ropes. Whatever your level, there are always new goals to smash to progress throughout the year. The importance of core strength and its link to mobility cannot be denied for maximum performance and injury prevention. Strengthen, stretch, move and tone your body into its peak performance level. Experience a high intensity mix of bodyweight movements, carries, crawls and sprints. Be ready to utilise every muscle group and head outside if the weather holds. This class has a primary focus on calorie burn and increasing your fitness level. OPUK yoga is for all abilities and sits as a perfect accompaniment to our existing strength, conditioning and rehab services. Lucy brings her vibrant personality to classes and create a flowing and dynamic class which can get you sweating as well as boosting mobility. Quadrupedal and ground-based postural movements are combined with elements from bodyweight-training disciplines to create a fun, challenging workout. Emphasising multi-planar, fluid movement, Animal Flow works to prevent injury and enhances strength and athletic performance. Download the One Performance UK App today to plan and schedule your sessions and appointments!